The American Lung Association in California is the leading health organization dedicated to saving lives by improving lung health and preventing lung disease through education, advocacy and research. With the generous support of our donors and volunteers, we are fighting for healthy lungs and clean air for all Californians. For more information, visit lung.org/california. 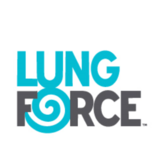 The Lung Association recently launched LUNG FORCE, a national movement to unite women in the fight against lung cancer and for lung health. We invite you to join us – share your story and become a LUNG FORCE Hero, take the pledge and spread the word to make lung cancer a cause people care about and act on, participate at a LUNG FORCE Walk, attend a LUNG FORCE Expo to learn how to educate and empower patients and healthcare providers, and raise critical funds for lung cancer research. Visit LUNGFORCE.ORG to learn more and to join us in the movement. American Lung Association in California has not yet activated their merchant account with Givsum. Your donation will go to the GIVSUM Foundation who will issue a check to American Lung Association in California ( less applicable fees ) as a grant within 30 days. You will get a tax receipt for the full amount of your donation from the GIVSUM Foundation, which you may use for your tax purposes.